where I have to balance multiple threads of the story. I now have major characters in three different locations doing three different things in support of the main goal. Things get complicated at this point. I have to keep the timeline straight. Does Event A actually belong in chapter 30, or should it happen after the events–in another location with different characters–in chapter 32? Moving whole chapters around isn’t too difficult, but remembering what any given character should know if I move that chapter might be. Add in that I don’t want any one of those three characters to get left out of the plot for too long and it becomes a real balancing act. Progress slows a bit at this point for a reason. I started the revisions on BEYOND THE PROPHECY just about a week ago. I’ve made really good progress up ‘til now. I’m on Chapter 25 of (currently) 51. Honestly, the most major change I’ve had to make so far—other than adding some details and punching up the emotions in a couple of places—was to delete part of a few scenes since I’d decided that a couple of characters weren’t there after all. Not too big a deal. But I’ve just arrived at the part of the story that’s going to need more work. The part I wasn’t happy with in the first draft anyway. It’s always the middle, isn’t it? I know what needs to be done—generally. But now I have to do it. New scenes. At least one new chapter. New emotional conflict—can always use more of that in the middle. This part will be almost like going back to the first draft. But the story will be so much better for it. Once I get through this, hopefully the rest will be more of a downhill slide. Then at least two more revision passes until I’ll be glad to close it up while my trusted beta readers have it. Then I’ll know how well I did. I’ve started the first round of revisions on BEYOND THE PROPHECY. I’m all the way up to Chapter Five out of fifty-one, so I’m not exactly racing through it. In fact, I don’t expect to get anything done on it at all today. It’s just been one of those days. My alarm not going off was just the start. I usually like to try to get at least a chapter done a day, but Chapter Five has some particular issues that might take longer. About the ending of BEYOND THE PROPHECY, which I’m still not entirely thrilled with. About the fourth and last (and so far untitled) book in the Dual Magics series. Especially about where it starts, which might be an issue. Because, as things stand, it would start with several chapters in which Vatar doesn’t have a part. Hmm. 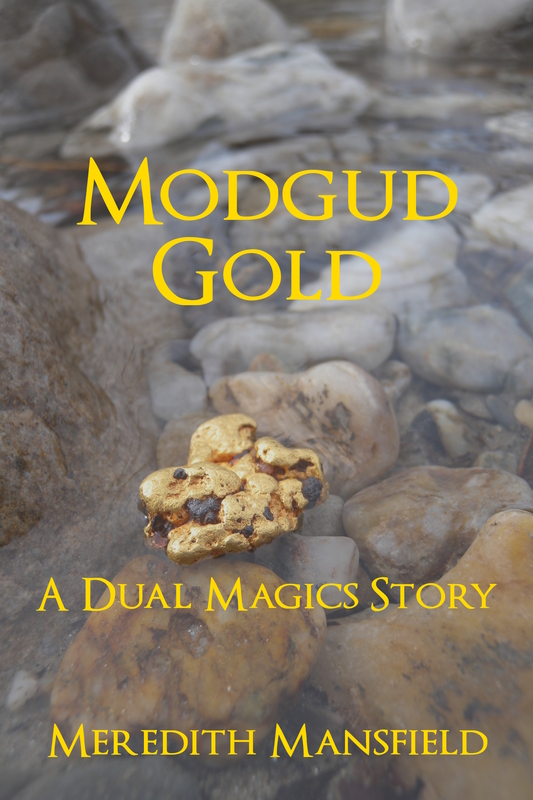 First, the Dual Magics tie-in short story, “Modgud Gold” is now available on Amazon. Changing his apprenticeship from the Smiths’ Guild to the Merchants’ gives Arcas a second chance. Not just for a career that suits him far better, but also to prove himself worthy of the lovely Elaria. But to accomplish that, he must leave his seaside city—and Elaria—for a year. In that time, he travels among the barbarians, hoping to find something to trade for that will be worth the hardships and dangers. “Modgud Gold” takes place during the first half of THE SHAMAN’S CURSE. If you ever wondered how Arcas knew enough about the Modgud to recruit help for Vatar during the Ordeal, here’s your chance to find out. Second, today I’m officially back working on BEYOND THE PROPHECY. It hasn’t had quite as much time to cool as I’d planned, but I’ve finished all of the other things I intended to do during this break from it, so it’s time. I’m starting with some of the bonus content. 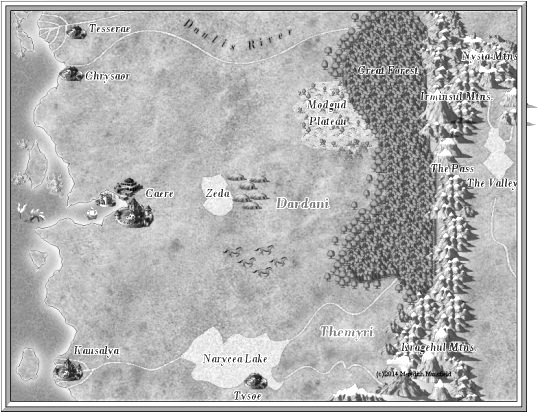 The Map, because this story travels around more of this world than the previous two did. Vatar’s extended family tree and/or a cast of characters. A glossary of the different groups/cultures involved in these stories. And a vastly shortened summary of the salient events of the first two books. All of that will be at the back of the book, at least in the e-book. (I may move the map and the family trees up to the front in the print edition. Plenty of time to worry about that later.) That way, they won’t be the only thing a potential reader sees if they look at a sample of the book.